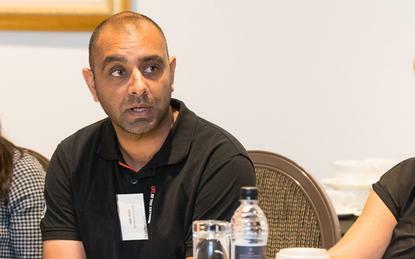 Diljit Bolla has vacated his executive role at Dimension Data, assuming the position of business development, alliances and marketing director at SecOps NZ. Headquartered in Auckland, SecOps is a managed security service provider with expertise across cloud assessments, security monitoring and professional services. The business also operates Security LABS, a bespoke consulting and testing service for Kiwi customers, which includes a team of ethical hackers and security analysts. Furthermore, the LABS team offers penetration testing, incident response and forensics, backed up by increased levels of support. “SecOps NZ and Security LABS have experienced strong demand and we have ambitious growth aspirations over the next 12 months to become New Zealand's most respected cyber security business,” said Dermot Conlon, director of SecOps NZ, when speaking to Reseller News. Before joining SecOps, Bolla held a range of executive positions during a five-year stint at Dimension Data in New Zealand, most recently as alliances and marketing director. Prior to Dimension Data, Bolla worked in senior management roles at system integrators Gen-i, now Spark Digital, and Axon Computer Systems, now Dimension Data. “SecOps is now part of a select few managed security providers in New Zealand to offer an ISO 27001 certified, New Zealand-based 24x7 service,” Bolla added. One of Bolla’s first tasks will be leading the launch of New Zealand’s first Cyber Prep Academy (CPA), in addition to spearheading the provider’s Security Resourcing business. According to Bolla, CPA is a “hands-on training academy” designed to “play an active role” in addressing the cyber security skills shortage in New Zealand. Meanwhile, Security Resourcing is a dedicated cyber security recruitment and resourcing business. From a technology perspective, SecOps partners with Microsoft, Symantec, Cisco and Juniper Networks, alongside Check Point, McAfee, Trend Micro, Alien Vault, Qualys and Darktrace.